What do you eat for breakfast? Do you consider it healthy? As the ‘most important meal of the day’, most of us want a tasty, yet healthy bowl of something to get us started for the day. Cereal is known for being the easy, cost-effective, and popular breakfast choice, yet with many having sugar content which could contend with that in your favourite chocolate biscuits, a lot of the UK’s big cereals aren’t as healthy as their big green banners suggest. 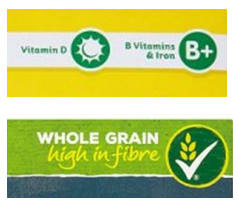 As part of their Breakfast Week last year, Metro ranked 20 UK cereals from worst to best. It’s no surprise that the sugary options ranked highest, leaving the blander and low-sugar options at the bottom of the list. Jamie Oliver’s site advises that ‘any food that has less than 5g of total sugar per 100g of the product in is considered low in sugar; any product with more than 22.5g of total sugar per 100g is considered high in sugar’. Ranked the best cereal by Metro was Kellogg’s Coco Pops; those chocolatey-grains which are much too easy to overfill your bowl (more than the recommended 30g serving) with. In 100g, there’s a staggering 35g of sugar, making you think twice as to whether the chocolatey-milk is worth dental costs further down the line. US-favourite Lucky Charms, which has made its way into our supermarkets (at a not-so-cost-effective price), also makes it into Metro’s top 10 best cereals, having a weighty 37g sugar content per 100g, as well as Frosted Shreddies at 27g, and Nestle Golden Nuggets boasting 25g of the sweet stuff. All of these breakfast-favourites are guilty of being pretty shocking in the sugar department. While the content is advertised on the box, it’s less eye-catching than the big green banners or stickers advertising the less teeth-shattering nutritional qualities. 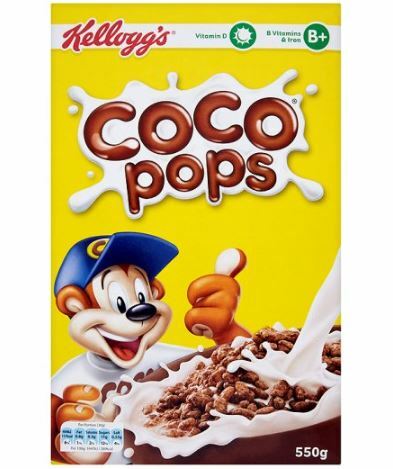 This includes vitamins D and B+, iron and fibre, of which these cereals do provide nutritional and healthy amounts. With the bold advertising of all these vitamins and nutrients, many are often quick to overlook or not even notice the spoonfuls of sugar in their bowl of cereal. Ranked the worst and described as “bland, dull, and looks a bit like wood splinters wrapped together with no purpose other than to ruin your morning” in Metro’s article is Shredded Wheat. A pretty accurate description as I’m sure many would agree, but it comes in as having the least sugar content, at just 0.7g per 100g, as reported by indy100. Despite the absence of chocolate or any sweetness at all, Shredded Wheat is full of all the vitamins and fibre, without the sugar. Weetabix, Bran Flakes and Cornflakes also made Metro’s list on the worst end, however as expected, their sugar content ranges from 4.4g-14g per 100g, which isn’t bad going compared to their chocolatey, marshmallow-inclusive competitors. So, can’t quite give up your sweeter breakfast but don’t want to end up with a telling-off from your dentist? Use low-calorie sweeteners to sprinkle on top of your Weetabix (or similar) instead of coating in spoons of sugar. Alternatively, add fruit. Fruit is full of natural-sugars, yes, but they’re a better sweetener than sugar itself. We all know fruit is good for us, and adding it into our cereal, accompanied by a glass of fresh fruit juice, contributes to the recommended 5-a-day intake. Adding fruit to oats, muesli or the healthier cereal options of Shredded Wheat or Weetabix, makes for tasty and nutritious breakfast. 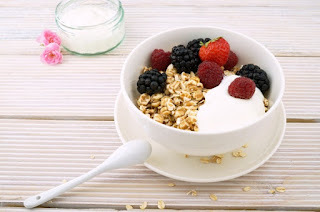 Other ways increase the healthiness of your cereal is looking at different milk options, which vary in fat content. Go for 1% or Semi-skimmed or skimmed milk as opposed to whole milk. Almond, Coconut and Soya milk are alternatives to cow’s milk, or go for yoghurt, the fat-free or low-fat types. 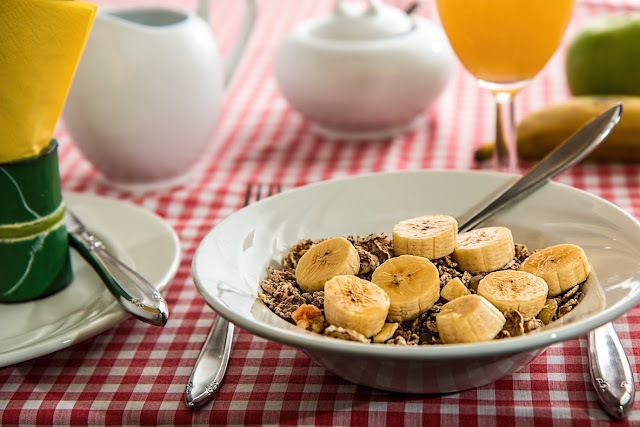 As a treat, bowls of sugary cereal are delicious for those with a sweet tooth, but perhaps steer clear of them for your every-day breakfast choice.